With new owners, new manager, new backroom staff and a new set of players, the most precise I can be is that we will finish somewhere between 1st and 24th. This was the year where the reset button was pressed and no one knew what would happen next. Four years of major progress risked being undone by the colossal change Bradford City were going through. The time felt right for new ownership and new ideas, but swapping managers wasn’t part of the plan. Phil Parkinson joined Mark Lawn and Julian Rhodes in bidding farewell to Valley Parade. At the beginnings of a transfer window that had seen the decks cleared, only eight players remained on the books. The coaching staff followed Parkinson to Bolton. And if rumours are to be believed, the scouting records disappeared with them. Edin Rahic and Stefan Rupp had bought a successful football club, but suddenly the contents had been gutted. It was easy to fear the worst, as Parkinson held a Bolton scarf aloft at the Macron Stadium. His replacement in the Valley Parade dug out, Stuart McCall, prompted unease and disappointment amongst many supporters. As time ticked by and the influx of new backroom staff and players was slow moving, a sense of panic filled the air. This was a club who looked worryingly unprepared for the season ahead. And everything that has followed has been framed around the major uncertainty of last summer. Every triumph, every set back and – yes – every one of those damn draws seemed to be greeted with the mantra “we’d have taken this position at the start of the season”. It has been the compass that has guided this campaign. The Year Zero feel of last summer forced a re-examination of the expectations. To repeat, never mind better, the play off finish of 2015/16 looked to be a tall order. Implosion was feared. Endlessly repeating this need for perspective throughout the season has been entirely justifiable, but at times it has felt over-simplistic to frame every success as a triumph simply because of what might have been. At the darkest moments last summer, we all fretted over the possibility of a relegation battle or mid-table finish, but that doesn’t mean we would have accepted it. This was a season that exceeded expectations, but partly because we struggled to define what those expectations would be in the first place. No one wanted to take a backwards step. Yet the rational side of our brains told us that a season of transition might have to be tolerated in view of the circumstances. But still, there is a difference between expecting and enjoying something: and that is the crux of this season. We expected the club to have a more difficult season than proved to be the case. We expected to be unhappy. There isn’t time for a big transitional period. If there was ever a season where a strong start was needed, this is the one. For people to buy into the long-term mantra, they need to be given early reasons to have faith. That doesn’t mean that if City don’t get promoted this season fans will turn; but it does mean the club has to look like it’s capable of getting promoted. If not this year then soon. Flash forward from last summer to 2.50pm on Saturday 20 May, and to Wembley stadium. Nearly 24,000 Bradford City supporters stretched out across the West side of the famous ground, eyes on the big screen that is showing live footage of the two teams lining up in the tunnel. Stuart McCall is at the front, his face beaming with pride. A roar rings around City fans. 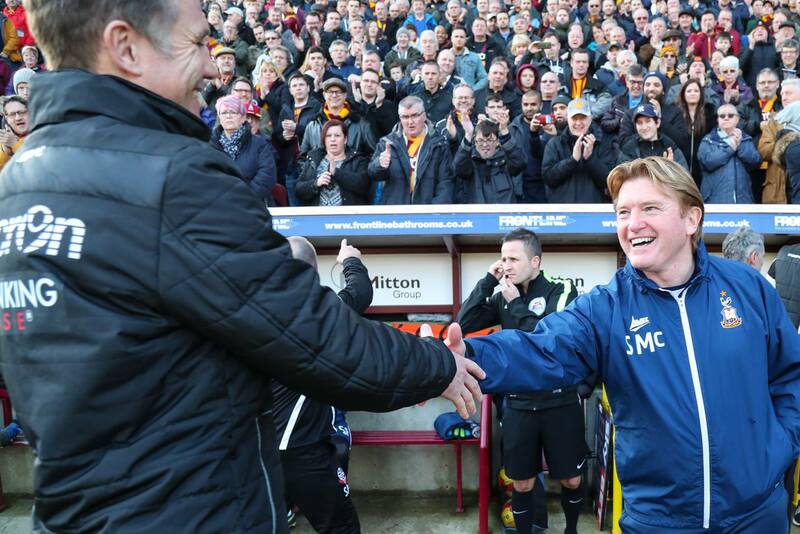 Another special moment in the love affair of Stuart McCall and Bradford City. One that goes back 37 years now. It has been a genuinely special season. The fourth coming of Stuart hasn’t proven the calamity that some proclaimed. The club has demonstrated commendable resilience to not only withstand but thrive under change. They’ve continued to move in a forwards direction whilst barely skipping a beat. The names and faces in the boardroom, the dug out and on the field are very different to a year ago, but the spirit and level of achievement has maintained its upwards curve. Tone is so important to any season, and those opening few weeks invariably go a long way to defining it. On the first day of the 2009/10 campaign – during McCall’s first spell as manager – City lost 5-0 to Notts County and the mood never really recovered. The 0-0 draw with Port Vale that kicked off this season wasn’t a headline grabber, but the signs of promise encouraged people’s buy-in and support. That was important. For nearly three months, City stayed undefeated. 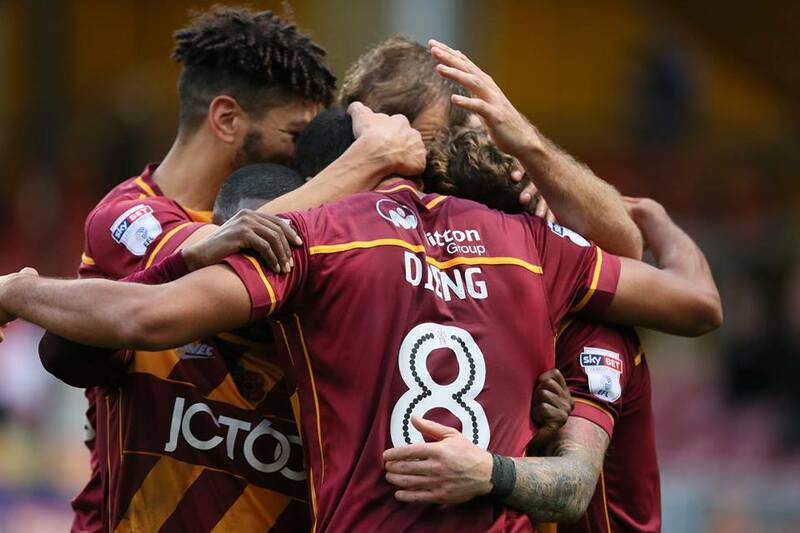 A 2-1 victory over MK Dons in game three was an impressive marker of what the team was capable of, elevating the Bantams into a top six position that they wouldn’t surrender over the remaining 43 matches. There were lots of draws early doors, and an early pattern of not turning dominance into goals developed that has characterised the season. But it was enjoyable, and that really mattered. Phil Parkinson’s five years at the helm don’t deserve black and white verdicts. The style of football he deployed could be as exciting as anything we have seen at Valley Parade in years. He could be gung ho, and playmakers and wingers thrived at times. But he did over-do the pragmatism over his final season. In 2015/16 City became a winning machine yet it was a dour watch. The change from that to this was warmly embraced. This squad play with an irrepressible energy and a slick assurance that, surely, few teams will be able to match this year. A vision of high-intensity football has found fruition in a group of players capable enough to shore that mantle. The questions now are both old and familiar, but the manner in which they will go about answering them will likely be different to what we have seen before. McCall’s success has stemmed from retaining the good qualities of what he inherited – he has repeatedly praised for Parkinson for leaving behind some excellent senior players, and a strong dressing room culture – whilst taking a more attacking, expansive approach. He’s improved the team, rather than sought to redefine it. The early season 3-1 win over Coventry was a thriller, lit up by a magic goal from Mark Marshall. In September they survived tricky trips to Millwall, Gillingham and Bolton with their unbeaten record in tact. The 3-3 October draw with Sheffield United was a sensational game of football that left you proud to be both a City fan and a lower league supporter. The dramatic late win at Wimbledon, the comfortable 4-0 thumping of Rochdale, the emotionally charged home victory over Northampton. City were tough, committed and easy on the eye. There were issues over the first half of the season, naturally. The club was unable to compete with MK Dons and Sheffield United when it came to offering attractive contracts to strikers, and those available to McCall struggled to score regularly enough. Billy Clarke started the campaign in fine form, but James Hanson was weighed down by niggling injuries and Jordy Hiwula took time to settle. Transfer deadline day loanee arrivals Marc McNulty and Haris Vuckic were major disappointments. They failed to push those in the team. Whoever is ultimately making the decisions, the fate of the 2016/17 season rests upon the transfer activity over the next few weeks. If City carry on as they are, they are going to struggle to make the play offs. If they can invest in the right areas and bring in the right quality, big things could happen. January brought the chance to shake things up – and how. As McNulty and Vuckic were sent back to their parent clubs, James Hanson made a shock move to Sheffield United. The proceeds of the deal were used to snap up the prolific Charlie Wyke from Carlisle. Alex Jones was also brought in from Birmingham after a productive loan spell at Port Vale. As the changes were happening, City won three in four games to keep the season ticking over nicely. The 2-1 triumph over Northampton was a remarkable game in which the Bantams played the Cobblers off the park in the second half. Another 2-1 success – this time at Oldham – memorable for the terrific atmosphere in the away end. Something special was still growing. It felt like momentum was building. The January window activity had a positive effect in keeping it going. 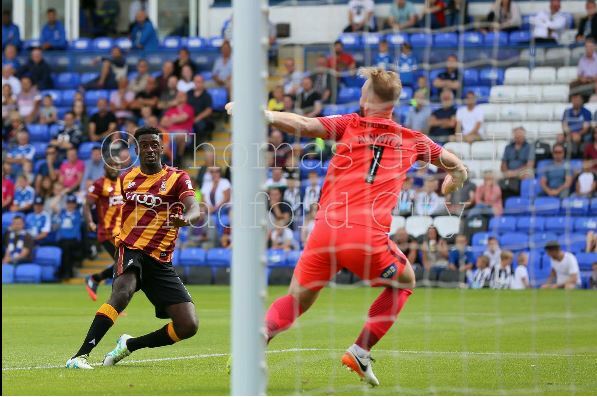 Wyke netted 15 minutes into his debut, at home to Gillingham, and continued to be prolific at Valley Parade at least. Jones took more time to settle but was soon contributing. Mark Marshall was trialled up front and fared well, giving McCall another option. Hiwula, who had a decent autumn, faded onto the sidelines. But still those draws continued. City didn’t lose many games, but a December-February run of eight ties from 13 really hurt their top two prospects. Losing at Fleetwood, drawing at home to Bolton and falling to defeat at Scunthorpe were also costly in the long run. These three clubs were City’s main rivals for automatic promotion, and in each of these three games the Bantams had led at half time before points were lost. What easily might have been. The irony was that, just as the clinical level of City’s attack nudged up a few percentage points, the defence became a few percentage points more leaky. Early doors a back four of Stephen Darby-Romain Vincelot-Nathaniel Knight-Percival-James Meredith were very solid. Tony McMahon and Rory McArdle eventually won back their places and impressed individually, but it took a little while for the collective unit to function as effectively as it had. A post-Christmas dip in form from Nicky Law added to the issues. Suddenly a number of goals were gifted due to Law switching off. In the post match interview that followed the pulsating 2-2 draw with Bolton, McCall was struggling to keep a lid on his emotions. The first half display against Parkinson’s new charges was without question the best of City’s entire season, and they should have been more than two goals in front. Bolton came back to draw 2-2, and questions were pointed at the team and manager. In that interview, McCall stated that his players – now winless in five – needed to win seven of the remaining 13 games to make sure of the play offs. It was a vital moment in the season for a side whose form was drifting away. Of course we must defend better, learn to take more of our chances, drastically improve in-game management and understand that at times it is okay to be pragmatic, but none of this should be beyond this group of players. There is no reason to believe they can’t kick on and end the season strongly. We are so close to becoming an outstanding League One team. And just because we have been saying this all season, it doesn’t make it any less true. In the end McCall was proven to be completely right about his own team – they won eight of those last 13 games, guaranteeing a top six placing with a round of fixtures to spare. Idealism was reined back slightly in favour of more pragmatic approach; not that McCall ever went close to reintroducing Parkinson’s 15/16 style. 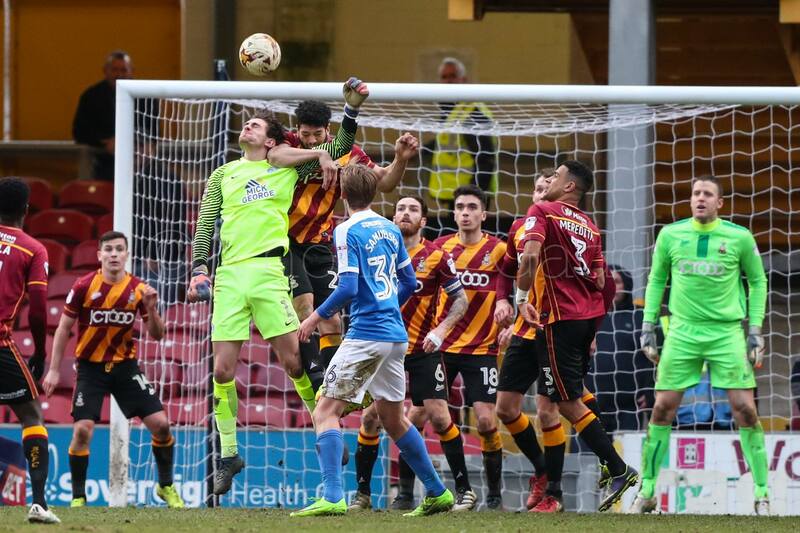 Crucial wins were delivered at Port Vale and Coventry, whilst at Valley Parade the Bantams dispatched Peterborough, Walsall and Oxford with minimal fuss. There were stand out games, like the thrilling late comeback against Swindon in March. With 15 minutes to play Nicky Ajose had put the Robins in front and the proud unbeaten home record was in jeopardy. But Wyke netted two memorable goals – set up by Marshall both times – to spark unbridled scenes of celebration. It was a really big moment on the road to the play offs. The 2-0 victory at Bury was another major triumph, with Marshall and Wyke netting late on. Getting thumped by Champions Sheffield United was a test of character, but quickly forgotten when a week later Wimbledon were easily beaten and the play offs were assured. The sense of achievement in matching last season’s finish, on a reduced budget and with all that change, was huge. For McCall to succeed where he had failed the first time around made it all the more special. The play off semi finals were remarkably stress-free. City controlled both legs, and were deserving winners over a Fleetwood side who just seemed happy to have made it so far. The Hollywood ending of a play off final victory at Wembley looked to be written in the stars. The one-year anniversary of the Rahic/Rupp takeover, the McCall factor, and the fact the club truly looked ready to take that step back into the Championship. Alas, football can be a cruel, cruel game. They are a marvellous team to watch. They leave everything out there on the field. But they do it to themselves. City are what they are. Often sublime, sometimes dominant, ultimately undone by their own frailty. This is a team to be admired, adding creation to the commitment of years past. There isn’t a better side in the division outside of Sheffield. But they have two key characteristics in their DNA: they cannot convert dominance into goals, and they cannot defend set pieces. It has been a season of strong performances. Mark Marshall’s resurgence. Josh Cullen returning to further enhance his reputation. James Meredith and Tony McMahon revelling in the greater full back attacking emphasis. Romain Vincelot’s leadership and adaptability. Charlie Wyke’s quick bedding in period. Rory McArdle’s bounce back. Colin Doyle’s quiet assurance. Danny Devine’s early season promise. It wasn’t all flawless. Nathaniel Knight-Percival started and ended the campaign well, but had a troubling mid-season dip. Timothee Dieng lost his way over the second of the campaign. McNulty and Vuckic were major disappointments. Jones was hampered by fitness issues. Clarke’s form after returning from injury in January was underwhelming. Nicky Law’s season went on a similar downwards curve. Filipe Morais looked shot of confidence before improbably resurfacing as League One’s Ronaldo at Bolton. Others were bit-part players and, in other circumstances, could have offered more. Matt Kilgallon looked a shrewd capture in the summer and played well when called upon, but in hindsight might not have been the best use of budget. Alex Gilliead had to bide his time, began to impress and then got injured. Jordy Hiwula and Rouven Sattelmaier had their moments, the latter looks a real talent. 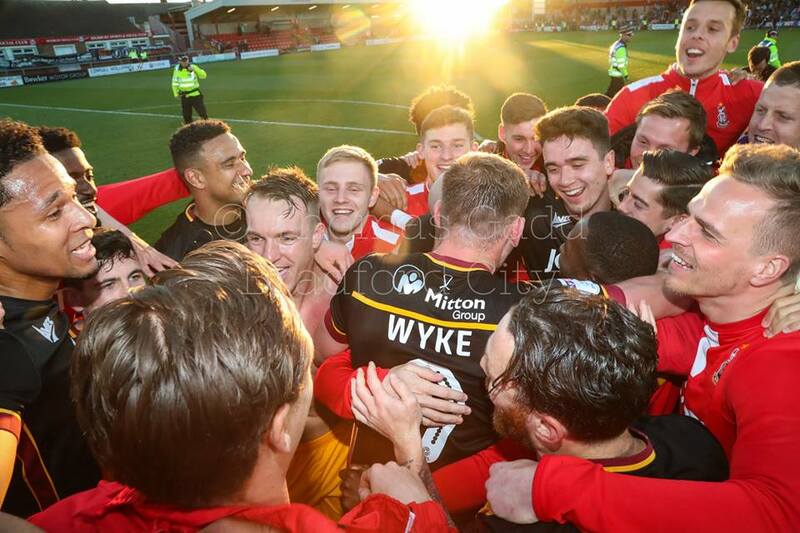 It was also the year of saying goodbye to Hanson after eight years of largely commendable service, and where Stephen Darby and James Meredith reached the end of a memorable five years at the club. The History Makers are now all but history. But the club has retained that spirit and that character first evidenced in 2012/13. The core nucleus of strong professionals, driving high standards in themselves and others, has lived on in the newer breed. Under Parkinson, City developed a set of values that McCall has embraced rather than rewritten. It can – and should – continue to serve the club well. This has been an amazing team, a beautiful story from beginning until five minutes before its end, which, although falling short, has birthed the most vibrant and cultured Valley Parade team for decades. One day, this season will live as that: not quite, in the end, but often touching greatness. They’ve never left the play offs since entering them, never sat lower than fifth since August. They have ticked every box in their recruitment. What more could they have done? This team deserved better, but familiar failings recurred. The summer will once again have its challenges. Good people have left the building, and it will be tough to bring in the improvements that are still needed. The underlying issues with the performance against Millwall were similar to those exhibited against Port Vale back on day one. The team don’t score enough, can fade after periods of dominance, and need to be more creative. They can switch off at crucial moments, giving away preventable-looking goals. City were only seven points short of the automatic promotion places, and those many draws featured plenty of fine margins. At times they tripped themselves up, and there remains a lingering regret that they couldn’t have pushed Bolton harder for that second automatic promotion spot. If they want to go up next season and avoid the risk of more play off heartache, they must find that clinical edge. But they are in a much stronger position. The core nucleus of good professionals is greater in number than a year ago. The owners’ ideas and ideals are embedded. The scale of change need not be as considerable. The level of uncertainty should be much lower. This is a team that went unbeaten at home for a full season, and lost fewer games overall than all but one club in the entire 72. This is a team with a clear identity, and proven way of doing things, who with the right recruitment can only get better. 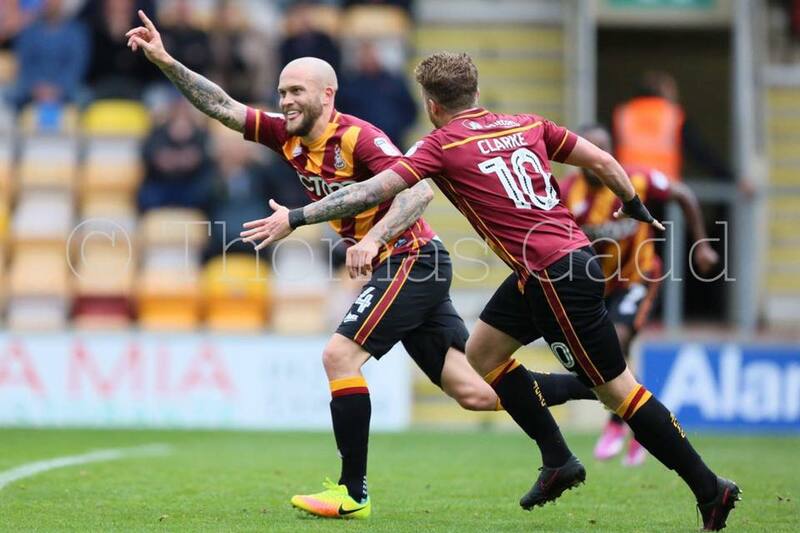 It was an absolute pleasure to watch Bradford City this season; and though expectations will naturally rise now there is nothing to fear about next year. The club can and must shake off the play off final heartbreak and use it as a positive. The scars should make them tougher and more focused. 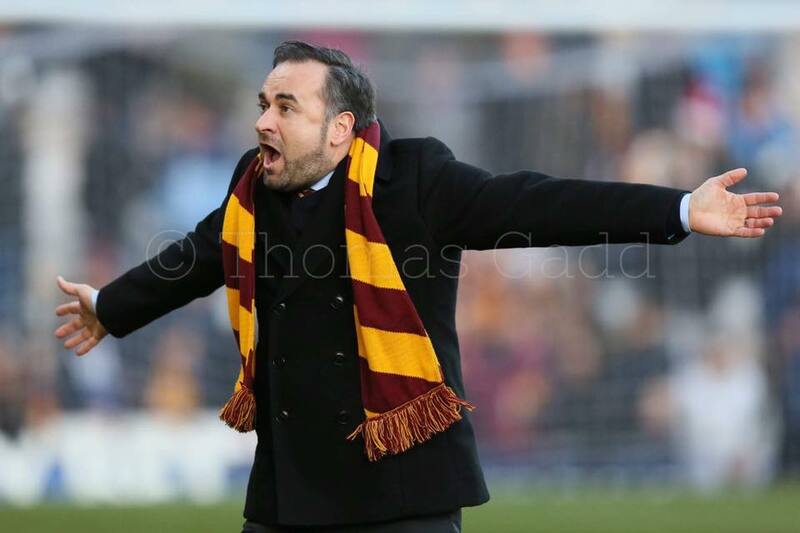 Bradford City are still moving forwards. And there is nothing to suggest that won’t continue next season and beyond. Great article. Just need some good news to regalvanise things following 16.45 on May 20th…losing the final, James Meredith, and not as yet having any of ťhe other out of contract players signed up is a difficult time. We need to sort out the contracts and bring in the new faces required before the optimism for the new season really starts to take hold. Hopefully by late July being fourth favourites will appear an extremely enticing bet! At pre-season with all the comings and goings I was happy if we finished top half of the table. With all the talk of different managers coming to us the only two that interested me were McCall or Rosler. I definitely didnt want Evans, no chance. Apart from Romain and Law I was very underwhelmed by our signings, and that included NKP and Dieng, so once we started very well and not conceded it looks like Greg and stuart had pulled some gems out of the transfer hat. As soon as Cullen came back then my expectations raised slightly further and once we were second automatic became a possibility. It has been a very good season. The problems we had were as mentioned above defending set pieces, scoring goals and from November onwards creating the level of clear cut chances we did previously. What happened to our penalties after November, I don’t remember one where before I think we had 5 or 6. This coming season we need a proper box to box midfielder who can get ten goals plus (easier said than done I know) and someone who can create chances to Wyke not just by crossing from the wings but by been able to play the through balls for him to run onto. Out of all the out of contract players the only ones I would’ve kept would have been McArdle, Rouvan, Marshall and Meredith. As a player I would love the young Everton kid who went to Oxford and scored 10 plus goals from January. He seems a great prospect and could possibly be one step up from Cullen especially with experience in this division and now he knows he can cut it I would love him here.